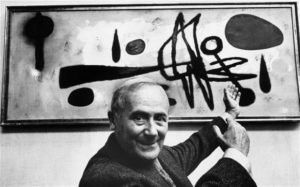 Joan Miró was born in Barcelona, Spain and studied art at School of Fine Arts at La Liotja and Gali’s Escola d ́ Art. His parents wanted him to become a serious businessman. Following their wishes, Miró worked as an accountant for nearly two years until he had a nervous breakdown. Soon after, he pursued his career as an artist eventually becoming one of the greatest masters of our time. Without being an official member of the Surrealist group, Joan Miró had a huge impact on the surrealist movement. He developed his own pictorial language that that became recognizable throughout his career and shaped other artistic styles. In the works below, his abstract forms and childlike characters are examples of his imaginative subconscious. 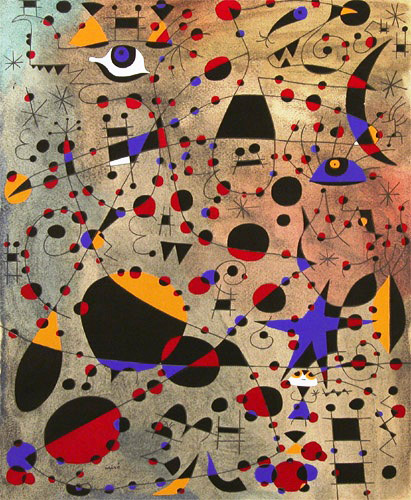 Adding a piece to your own collection by an artist like Joan Miro allows you to become the custodian of a piece of art history that can be passed down from generation to generation.